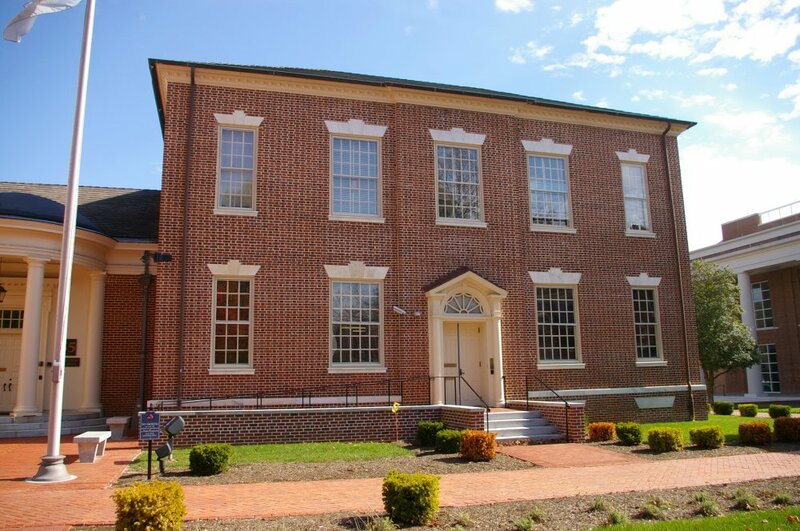 Description: The building faces southwest and is a two story red colored brick structure. 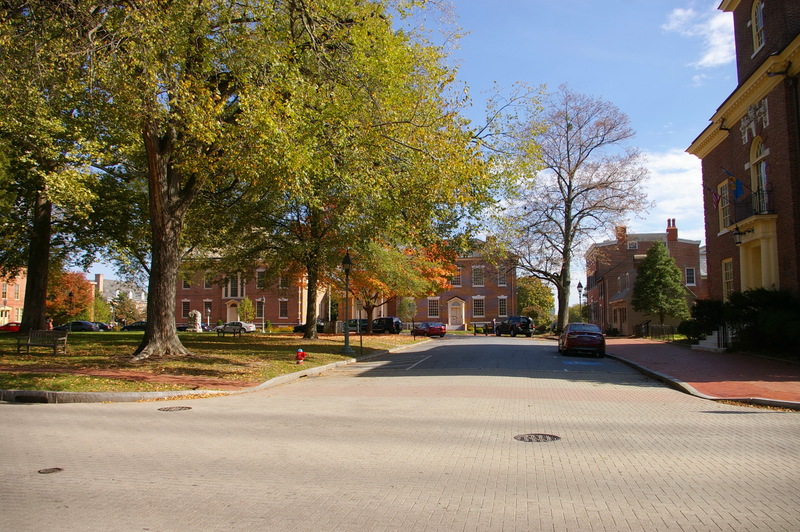 The building is located on the east side of The Green with the Old State House on the north side. The main building has a central entrance and on the north side is a semi circular portico with the main entrance and lobby. In 1968, an addition was constructed on the east side. 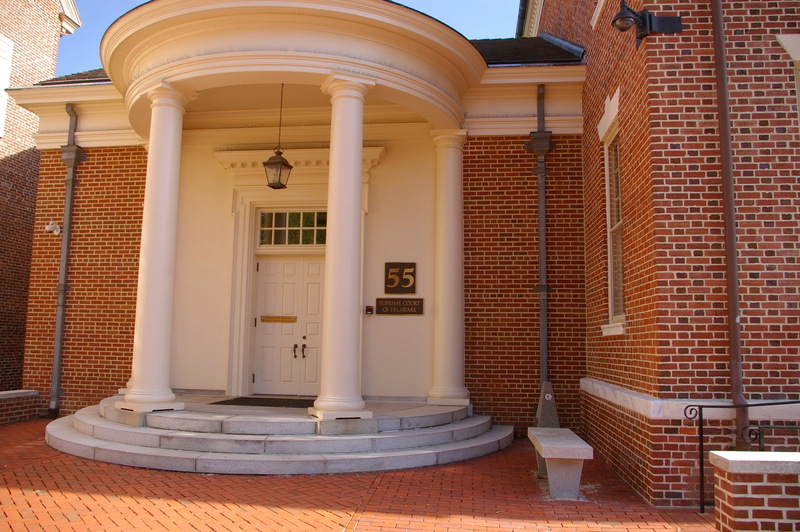 The Supreme Court Chamber is located on the east side of the ground floor. 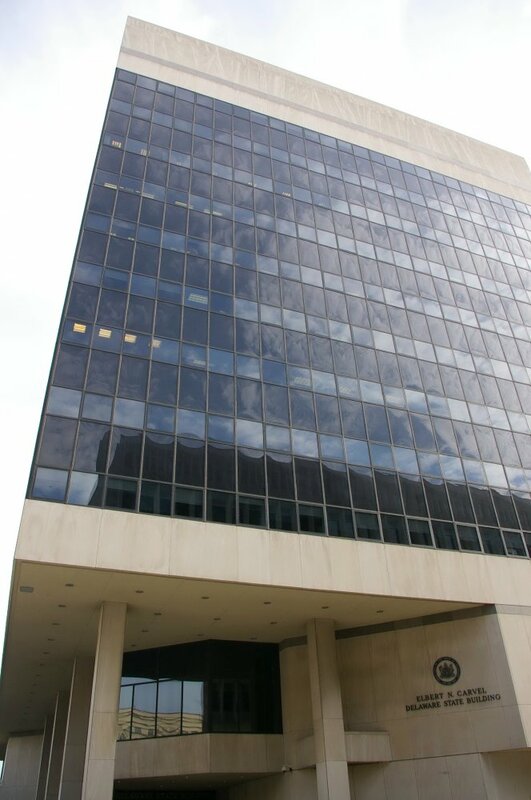 The judges bench is located along the east wall of the large high square room. 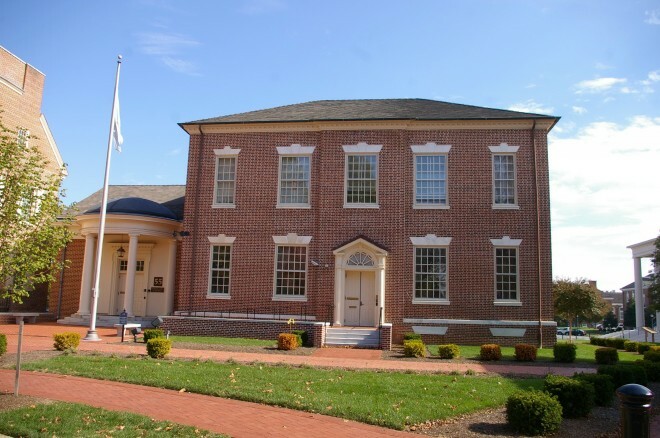 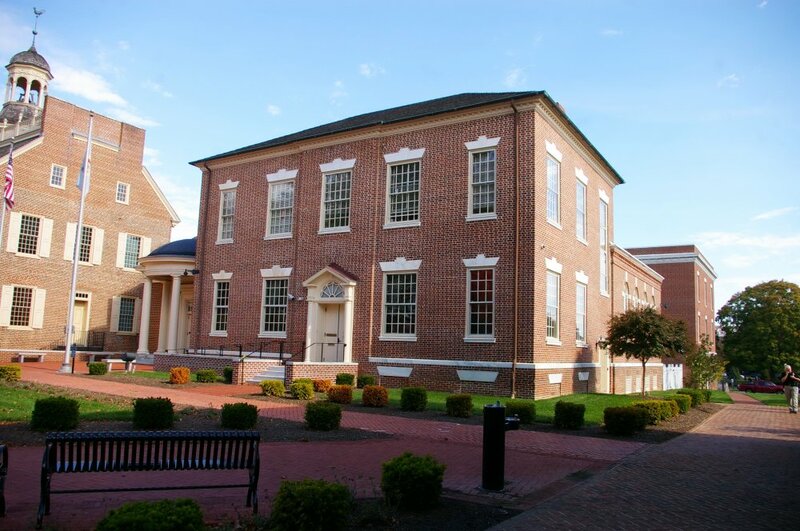 See: Delaware Supreme Court in Sussex County is located in the Delaware Chancery Court. 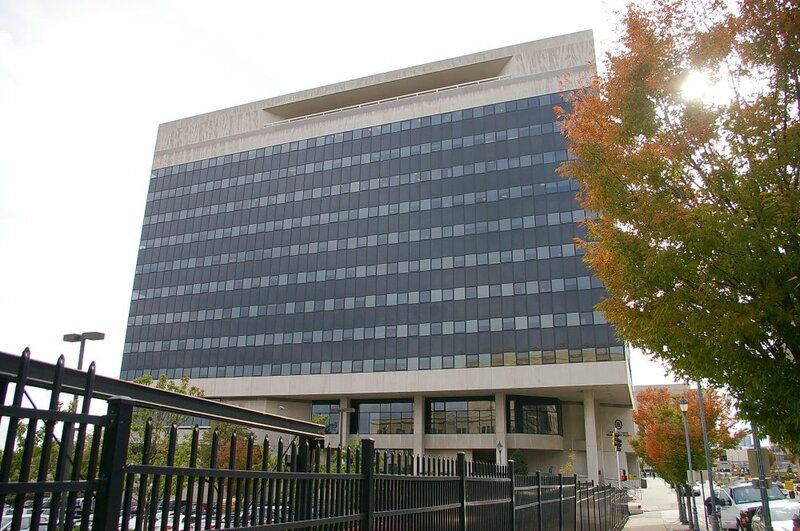 Description: The building faces northwest and is twelve story concrete and glass structure. 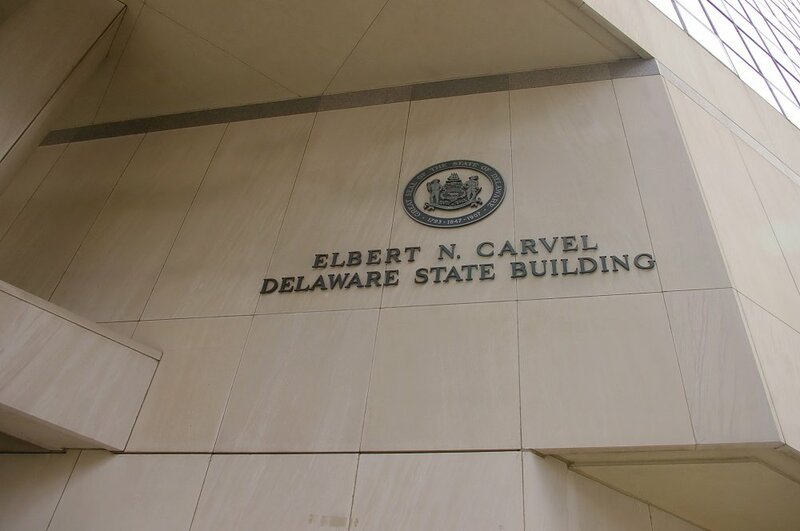 The building is named as the Ernest N Carvel Delaware State Building. 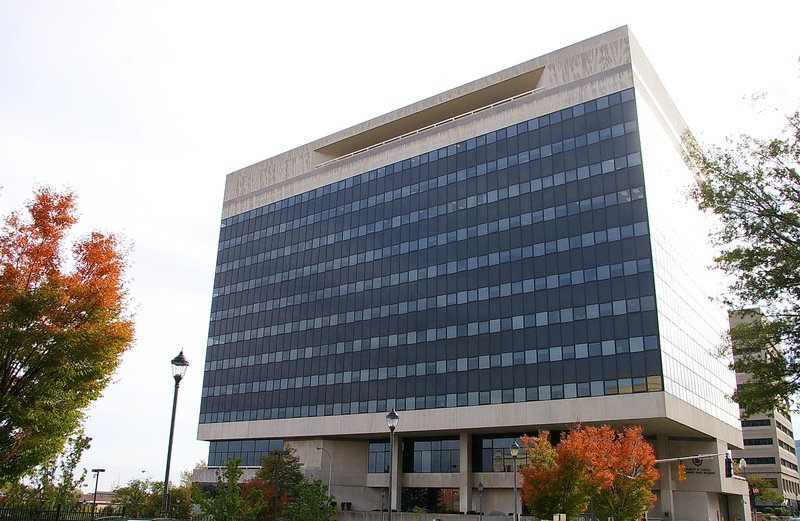 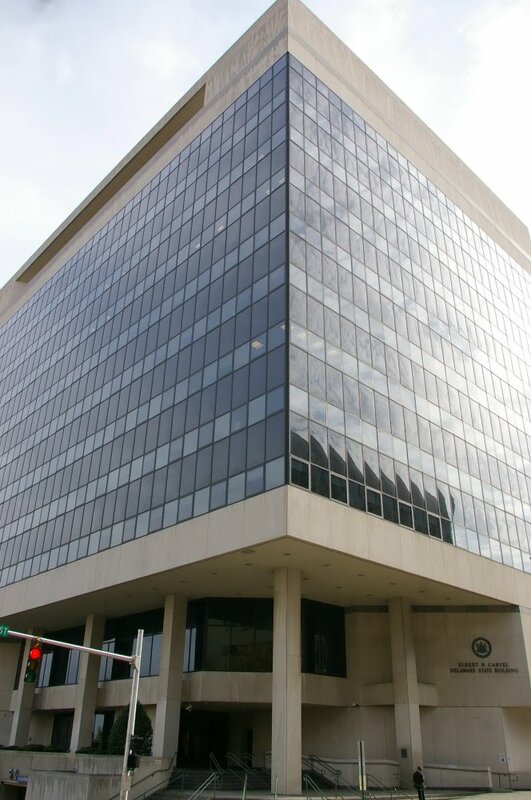 The Delaware Supreme Court in New Castle County is located on the 11th floor.